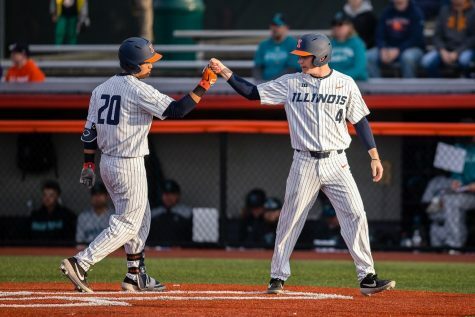 Time is running out for Illinois to make a move if it hopes to qualify for the Big Ten tournament, and its 6-5 loss to Iowa Thursday night did not do them any favors. 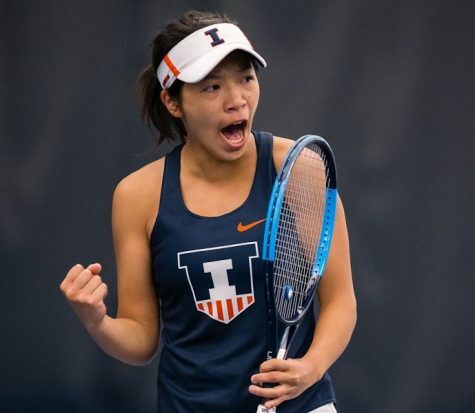 Illinois (22-27, 8-14 Big Ten) must sweep Iowa (33-18, 14-8) during a Friday doubleheader and hope Purdue (three games) and Michigan State (two games) lose out in order to qualify for the eight-team tournament. The Illini and Hawkeyes each hit four solo home runs on a windy evening at Illinois Field. 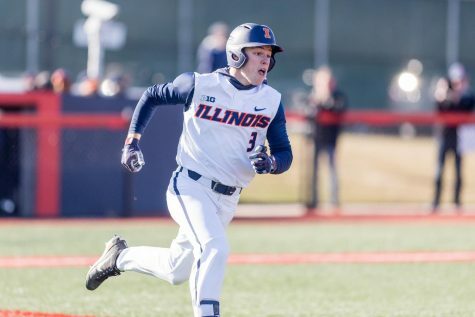 Sophomore outfielder Doran Turchin led the way with two homers for Illinois. 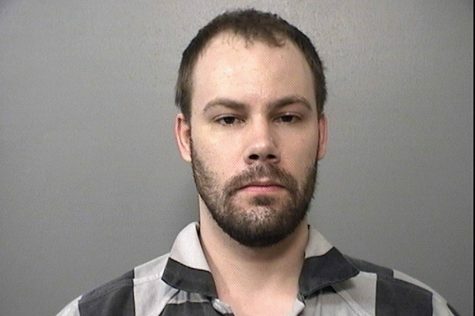 Robert Neustrom had a pair of home runs for Iowa. 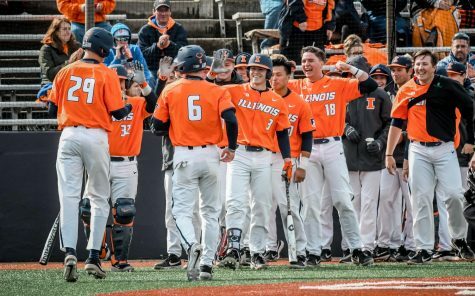 Illinois led 3-1 after two innings, but Iowa roared back with five combined runs in the third and fourth innings. 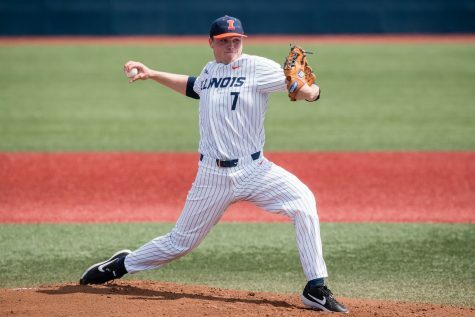 Freshman right-handed pitcher Ty Weber (2-7) got the nod on the mound for Illinois. He failed to pitch more than four innings for the second time in three starts. Weber allowed five runs and four home runs in 3 1/3 innings pitched. Thursday’s start was the only time an opponent had multiple home runs off of Weber in a single start this season. 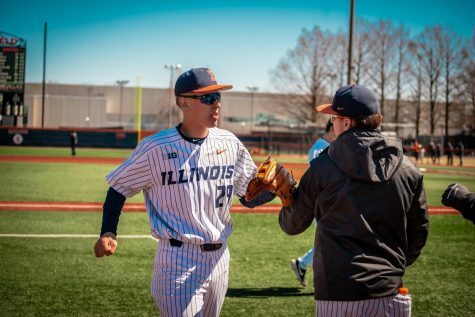 Sophomore Quinten Sefcik relieved Weber with 4 2/3 innings while allowing one run, keeping the Illini in the game throughout the middle innings. 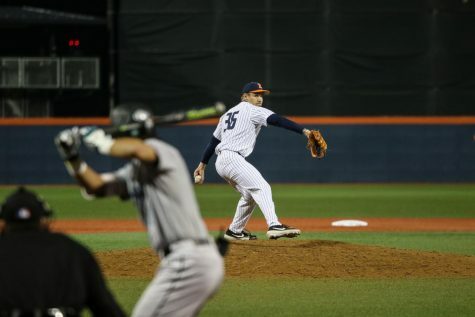 Illinois threatened to tie the game in the bottom of the ninth with a runner on third base. Junior catcher Mark Skonieczny hit a fly ball to right center field that was caught by Iowa’s Justin Jenkins to end the game. 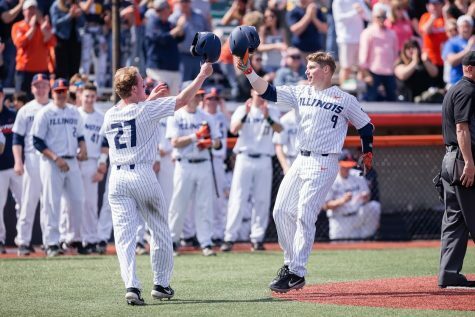 Right fielder Jack Yalowitz finished 0-for-4 leading off for the Illini, snapping his career-high 10-game hitting streak. 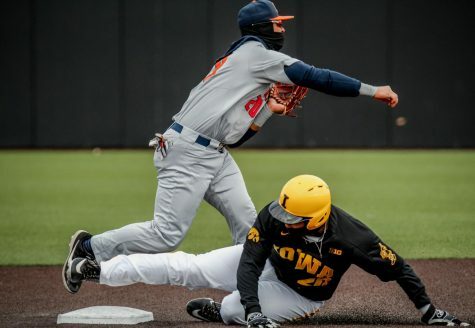 The Illini turned one double play against the Hawkeyes. Illinois leads the nation in double plays per game with 1.17. 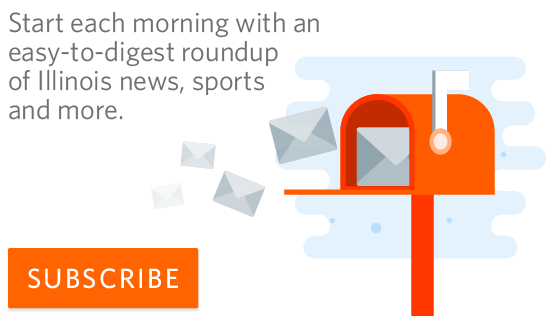 Illinois and Iowa conclude their regular seasons with a doubleheader in Champaign on Friday. The series was originally planned to run from Thursday to Saturday, but a threat of rain Saturday forced the teams to schedule two games Friday. 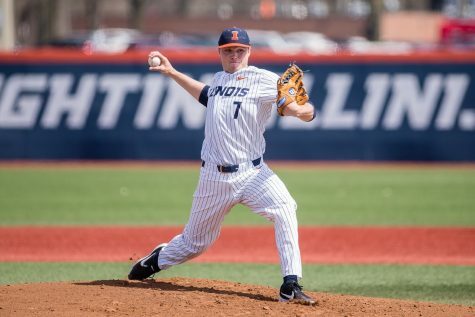 Illinois head coach Dan Hartleb plans to start freshman pitcher Cyrillo Watson in the first game Friday. Senior Matthew James is the probable starter for the nightcap.